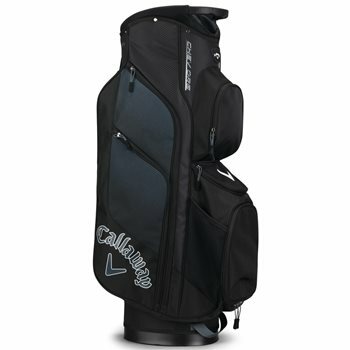 The Callaway Chev Org bag offers ultimate organization. 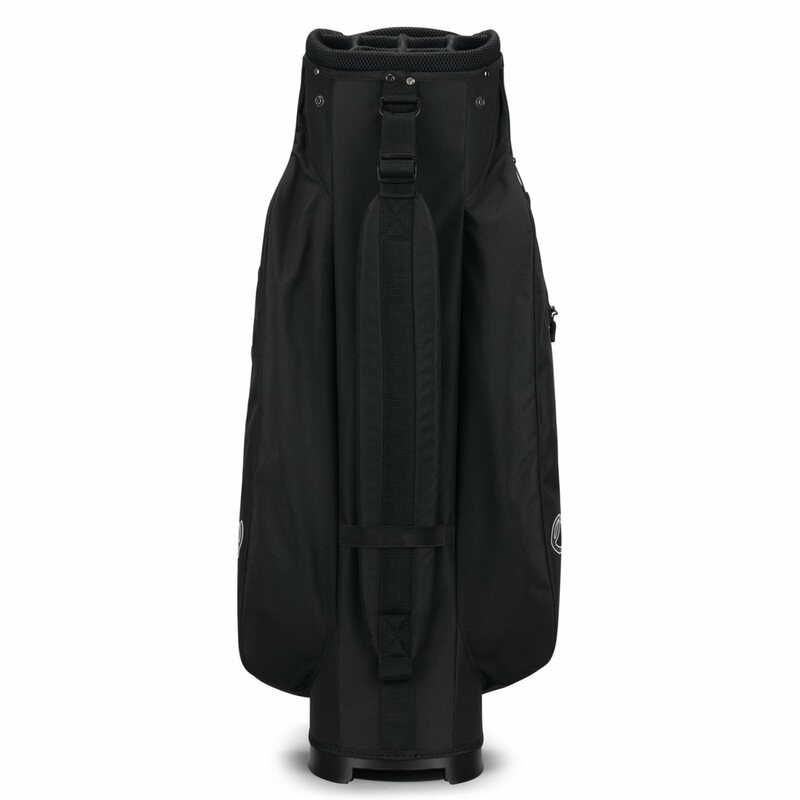 It features 10 pockets for storing golf essentials and personal items and a 14-way top with full length dividers and a putter well. The full length dividers offer club protection, the dedicated putter well offer space for oversized clubs and the pockets are designed for maximum storage and easy access. Featured pockets include a water-resistant Velour-lined valuables pocket, 2 full-length apparel pockets and an easy access accessory pocket. 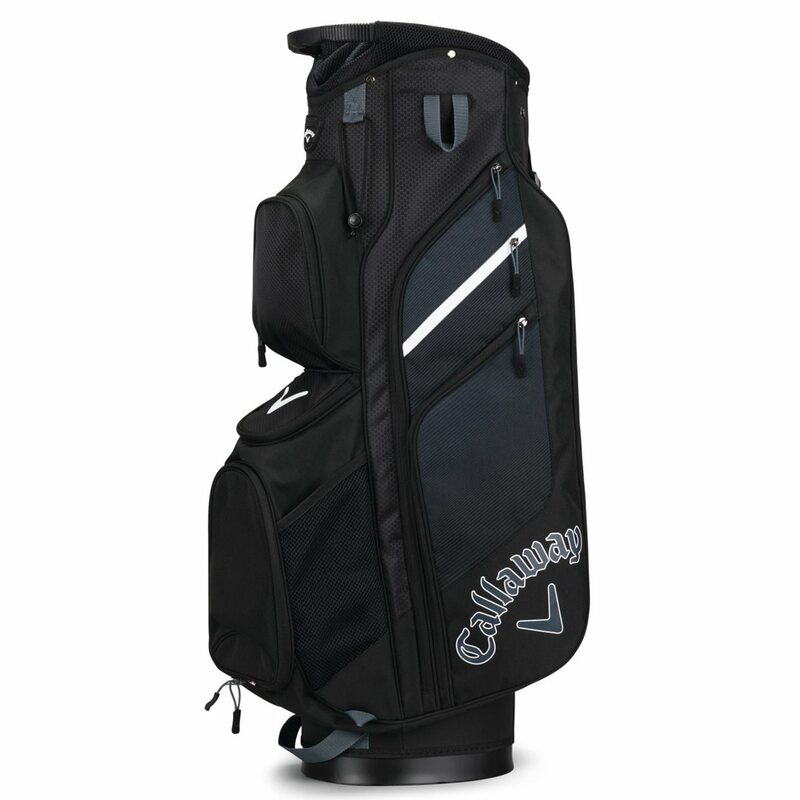 The lightweight Chev Org cart bag is designed with a bottom ball pocket for customization, modern graphic print for a stylish look and a moulded strap grip for easy lifting onto a cart.